Vietnam’s socio-economic challenges require international assistance. This creates demand for non-governmental organization (NGO) services, but NGOs looking to set up in Vietnam first need to understand how the industry is regulated. An NGO entering Vietnam should study the country’s complicated regulatory environment. NGO leaders need to take a flexible and nuanced approach to fulfill their mission and meet the needs of both the people and the government. 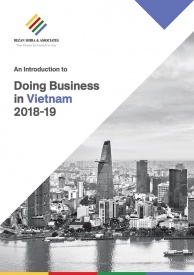 Here, we will provide an overview of the practical steps to take when applying for NGO status in Vietnam and other areas of concern beyond the initial registration steps. Foundations are legally recognized as NGOs. At the core, a foundation provides funding to support organizations or individuals to execute projects that tie into its specific development goals. Well-established foundations in Vietnam – such as AIESEC, the Red Cross of Viet Nam, and World Vision – implement projects that tie into their organization’s goals and the government’s development goals. Religious-based NGOs are charitable in nature, carrying out activities and projects with a specific purpose. Vietnam’s relationship with religious-based NGOs began with missionaries trying to promote their religion; however, with time, they have transformed into organizations that assist vulnerable groups in need of aid, while encouraging religion in a way that does not conflict with the country’s laws. VA-NGOs are comprised of Vietnamese employees who spent time in the US for more than thirty years and now play a part in an area of development in their mother country. Although the majority of staff are generally Vietnamese, VA-NGO’s are still legally considered “foreign” actors and can operate and apply for NGO status. While any NGO seeking to set up in Vietnam will need to consider how regulatory authorities will treat their profile, the registration steps are fairly consistent for all types of NGO. A foreign NGO has to apply for foreign NGO status in Vietnam to register its presence. Legal recognition is critical for an organization to create a reputable network, especially when international funding and public stakes are involved. The Committee for Foreign NGO Affairs (COMINGO) will discern whether an organization fits into its development structure and ensure applications fulfill regulatory requirements. In order to receive the required designation, an NGO must abide by the country’s tight regulations and ensure all activities are consistent with Decree No. 12/2012/ND-CP. The decree covers registration and management for setting up. The government issues three types of forms which grant NGO participation in Vietnam: Project Certificate of Registration, Representative Office Certificate of Registration, and Operations Certificate of Registration. The first two types of certificates are viable for up to five years, while the duration of the latter is three years. However, longer-term projects are highly encouraged – and an extension can be applied for thereafter by direct filing to COMINGO. To qualify for foreign NGO status, the organization must have the legal person status under the law of the country in which it is established, have a clear operation charter and guidelines, and have an outlined plan on humanitarian and development activities in Vietnam. 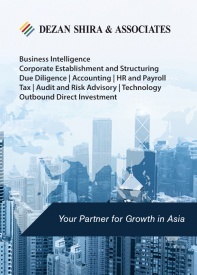 The registering organization must prepare a dossier that includes a lawfully-certified Vietnamese translation. Original or a certified copy of the legal status certificate. COMINGO will examine all completed dossiers and will notify the result to the registering organization within 45 working days. An NGO looking to enter Vietnam must provide a comprehensive code of ethics that outlines the mission of operations and programs for development activities. COMINGO will ensure proposals are compatible with the country’s socio-economic development goals. The foreign NGO is responsible for submitting an updated report on its activities in Vietnam every six months to COMINGO, and provide a relevant copy to the People’s Committee for verification. NGO’s must be aware that the Vietnamese government forbids organizations that engage in political and religious activities against national interest, security, defense, and unity of Vietnam. Profit-making activities, any money-laundering or terrorist engagement, and activities that degrade national customs, identities, or ethics will not be tolerated. A devised charter proposed by a foreign NGO should be comprehensive by nature to be best prepared for set up. Fundamentally, it cannot be too political and must be attuned to the Vietnamese government’s socio-economic priorities. 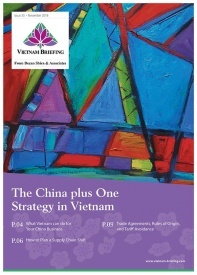 Unforeseen challenges are likely to arise for an NGO newly operating in a foreign environment, such as Vietnam. For an NGO to fulfill its goals – whether it be empowering vulnerable groups, tackling the effects of climate change, or responding to environmental and health risks – delegating a third party to handle the legal and financial requirements can help an organization focus on its social work. Registering for foreign NGO status, receiving project approvals and delivering results requires a good understanding of Vietnam’s complex regulatory environment. In this case, it is best to use a legal agency to help time-save the technical aspects of setting up an NGO.